After four years of Court wrangles the Minister of Fisheries was due to review kahawai stock management. In late June 2010 the Ministry of Fisheries, on behalf of their Minister, released a public consultation document. Submissions in response were due by 13 August 2010. It was expected that the Minister would make fresh management decisions before 1 October 2010, the beginning of the new commercial fishing year. Phil Heatley's decision was announced on 29 September. There are no management changes for Kahawai 2, 3, 4, 8 and 10. There are changes in Kahawai 1, the largest kahawai fishery. To achieve a good level of understanding of complex fisheries management scenarios we believe it is important to read the available data in good order. We have organised the information so it is easier to download and read. The following information has been presented so you can read it and form your own opinion on the management of this most important fishery to New Zealanders. option4 Update commenting on the contrived manner in which fisheries are managed in New Zealand, to maximise profits for corporates to the detriment of sustainability and most importantly our kahawai. The Minister of Fisheries, Phil Heately's kahawai catch limit decision for Kahawai 1, New Zealand's largest kahawai fishery. The decision to retain commercial catch limits and reduce recreational and customary overall allowances will take effect as of 1 October 2010. A comprehensive 20-page submission by option4, the Hokianga Accord and the NZ Sport Fishing Council. A series of recommendations and alternative management strategies are proposed to ensure 'more fish in the water'. Since 2008 the Kiwi Party has advocated that recreational fishing is an important activity for New Zealanders and family life. Overfishing of inshore waters has resulted in hardship for many families. Kiwi Party leader, Larry Baldock, writes to Phil Heatley, the Minister of Fisheries, urging and encouraging him to make decisions for kahawai that will enable a rebuild to occur in our inshore waters. The NZ Recreational Fishing Council support the MFish management option 1, for KAH 1, which proposes a 30 tonne reduction in the commercial catch limit. NZRFC also support option 2 for Kahawai Areas 2 and 3. The Kaikoura Boating Club submits that they want to see a substantial increase in kahawai biomass around Kaikoura. They also want commercial harvest of kahawai to be reduced to bycatch only levels until the kahawai stock rebuilds. A statement from the April Hokianga Accord hui expressing concerns about the MFish proposal to select a specific recreational harvest estimate for Kahawai 1, doing so would lock in a set of assumptions and management outcomes that would not achieve 'more fish in the water'. A letter from the Hauraki Gulf Forum to the NZ Sport Fishing Council and option4, advising how the Ministry of Fisheries intends to manage kahawai in the Gulf and of a possible review of trevally in 2012. Letter to the Hauraki Gulf Forum from the NZ Sport Fishing Council and option4, advising that the kahawai proceedings had finished and asking what MFish, as a Forum member, was doing to address depletion of fish stocks in the Hauraki Gulf. Fisheries Minister Phil Heatley and his ministry are indifferent to the overfishing of kahawai, says Tony Orman of the Marlborough Recreational Fishers Association. Sonny Tau, Te Runanga A Iwi o Ngapuhi chairman, responds to Wayne McNee's letter refuting claims about declining kahawai numbers. "What we witness at sea does not match their "science". So who is misleading who?" An initiative to alert the public to the consultation process underway and ask for comments on the quality of kahawai fishing in various areas and determine people's preferred management option. A kahawai survey was conducted in conjunction with the option4 Alert #16. A draft submission was provided with the survey and people were asked to complete a form and send their views to the Ministry of Fisheries. Over 1000 people responsed to the kahawai survey. Will the mighty kahawai ever be plentiful? An Update from the Hokianga Accord, the mid north iwi fisheries forum. The Accord supports the joint kahawai submission to MFish. Kahawai need to be protected from industrial harvesting and stocks need to be restored. In Update 136 option4 agree that more decisive action needs to be taken due to the lack of information on kahawai numbers. option4 cautions the Minister against claims of 'best available information', especially when that data is contrary to what is happening on the water. Hokianga Accord Update 34 reiterates the mid north iwi fisheries forum's goal of 'more fish in the water'. Rebuilding kahawai numbers will go some way towards restoring depleted seabird and mammal populations. option4 are fully supportive of the Minister of Fisheries making a bold decision for the future management of kahawai. option4 also support commercial allocations for kahawai being reduced to cover inevitable bycatch only. No purse seining! A media release from the New Zealand Sport Fishing Council and option4. Both groups endorse the overall intention to manage an inshore fishery to increase the benefits to amateur and customary fishers. The public is encouraged to submit their thoughts to MFish before the 13 August deadline. A report by the Economics Research Associates of West Australia. This 45-page report, Cutting the Cake in a Shared Fishery with a Minimally Managed Non-Commercial Sector, is worth a read. Motivations and Perceptions of Seawater Recreational Fishers in NZ is a report by Akroyd Walshe and definitely worth reading. For many fishers, fishing is undertaken in spite of the cost of the alternative purchase of fish. The report has been split into two parts due to its large size and download speed. A 1999 report by the South Australian Centre for Economic Studies on the value of the five most popular species caught recreationally in NZ. For recreational fishers kahawai is valued between 11 and 16 times higher than its commercial value. After much controversy and dissatisfaction from recreational fishers the Ministry of Fisheries provided advice to the Minister on the future management of kahawai. Interesting to note that even in 1990 MFish gave a list of four recommendations to the Minister, including a total moratorium on purse seine fishing for kahawai. A must read document! The Ministry of Fisheries Final Advice Paper (FAP) to the Minister outlining the various management options available for each kahawai stock. MFish recommendations are included. Worth a read. In early August MFish advised it had additional research information available that had not been included in the Initial Position Paper (IPP). This is the advice letter. The reports referred to are those above - the ERA and Akroyd reports, and the 2006 KAH 1 assessment below. A document containing the Ministry of Fisheries' initial proposals for the future management of kahawai stocks Kahawai (KAH) 1, 2, 3, 4, 8 and 10. MFish recommend KAH 4, 8 and 10 retain the status quo. Recommendations are made for KAH 1, 2 and 3. A letter from the Ministry of Fisheries advising that the review of sustainability measures for all kahawai stocks was underway. Submissions in response were due by 13 August 2010. Detailed information on specific kahawai stocks Kahawai (KAH) 1, 2, 3, 4, 8 and 10. Status of stock abundance is relatively unknown. 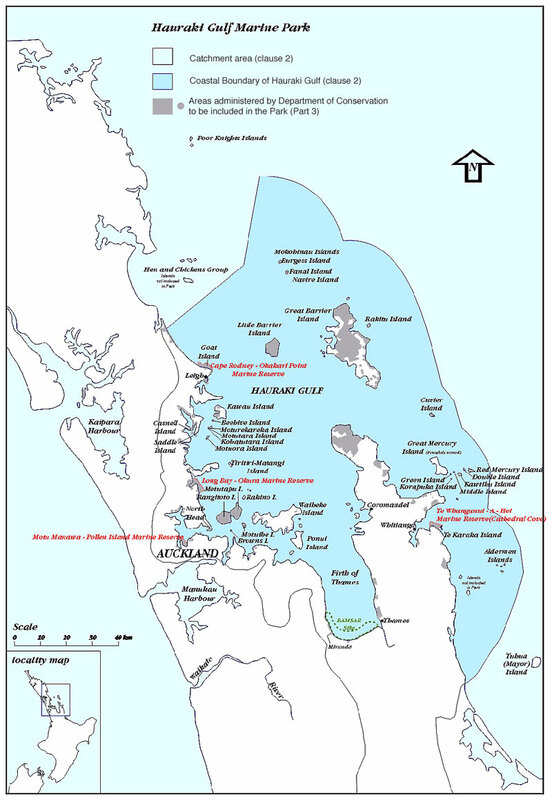 A NIWA report, from 2009, discussing the assessment of the Kahawai 1 (KAH 1) fishery for the year 2006.
site designed by Axys All rights reserved.